These presentations are academic events and are for a professional audience only. The conference is open to Dept. 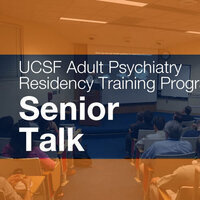 of Psychiatry faculty, staff, and residents, and community providers affiliated with UCSF.